With the global popularity of online trading growing exponentially in the last 2 years, it is no surprise to see economic regulations being introduced to protect the customer. 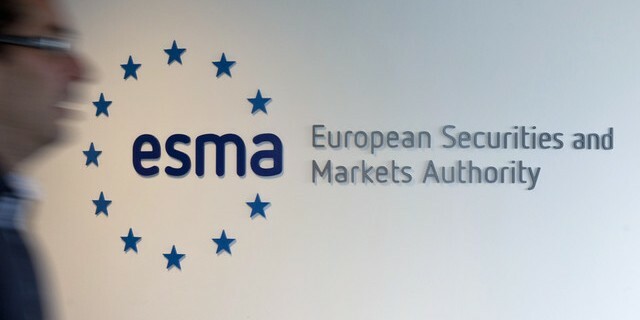 The European Securities and Market Authority (ESMA) is responsible for regulating binary options and CFD trading in the European Union. In 2018, ESMA updated the legislation for regulating binary options and CFD trading, a move which has attracted widespread criticism from the community. The imposition of ESMA’s new regulations includes the change in leverage on all major CFDs and FX pairs, now at 30:1. Minor currency pairs and gold is now tradable only at 20: 1 while minor indices and other commodities can be traded with a 10:1 leverage. This has affected how online brokerage services do business, as well as the trading options they offer. As of 27th March 2018, ESMA introduced new measures designed to restrict CFDs as well as outlawing binary options in all areas of the EU for retail investors, which now also includes U.K. The changes were introduced mainly to provide more security to retail investors. The effects took place from 2nd July 2018 for Binary Options and from 1st August 2018. Binary Options Trading is now prohibited in the EU for retail investors. CFDs have been added with certain leverage limits on opening positions. Online brokers are also required to present their users with a risk warning before they start trading. To better explain the effect, the leverage restriction on U.K Traders, the following example is taken. For a novice trader who starts with a measly £500, he/she could have previously traded at £1 a point and used around £60 of the deposit amount. This would enable the trader to trade at $5 / point or even allows them to trade multiple instruments at £1/ point. However, under the new rules of the ESMA, the same trader will have to use £400 instead of £60. This means, traders can now trade at only £1/ point, allowing only one instrument to be tradable at any one time. As mentioned before, Binary Option is illegal for casual traders and only available for professional trading. Thus, many major platforms cannot legally provide binary options trading to their customers. IQ option, a CySec regulated broker, has thus introduced a new product offering called FX Options. FX Options can be classified as a type of options trading with the same limited liability. However, in this case, price driven upsides are unlimited. By trading FX Options, a trader can go higher or lower on an asset’s price, with the ability to choose their own strike price. Payout percentages may vary from -100% (loss) up to 2000 % in case of a profit. As FX Options are not regarded as Binary options, it is legal for UK citizens under ESMA laws. The new set of rules introduced by ESMA will certainly change the way UK traders operate. Platforms such as IQ Option has thus introduced new product offerings as well as modified their existing leverage rules to provide a streamlined and enjoyable trading experience. For more details on trading with IQ Option, you can check https://www.iqoptionmag.com/ for accurate and useful information. As it stands, ESMA rules apply to the UK, but the situation might change dramatically with a hard Brexit!